My ex-boyfriend John is a brilliant autodidact and hands-down the funniest human being I have ever personally known, with a lightning-fast wit. And like many brilliant and funny people he was a manic depressive. 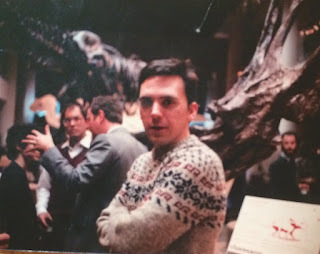 In this photo he was in his mid-20s and I had talked him into becoming a dinosaur docent at the Philadelphia Museum of Natural History. But after a few months he quit and he never really told me why. It could have been that he was just too depressed. But he looks quite dapper in this photo, in his sweater and all. This might have been the high point of our relationship. He did eventually propose to me years later but by then it was too late. Luckily a mutual friend confirmed in the past year or so that he is still alive, which was a great relief. In addition to verbal wit he used to draw amusing pictures for me, or sometimes home-made cards. 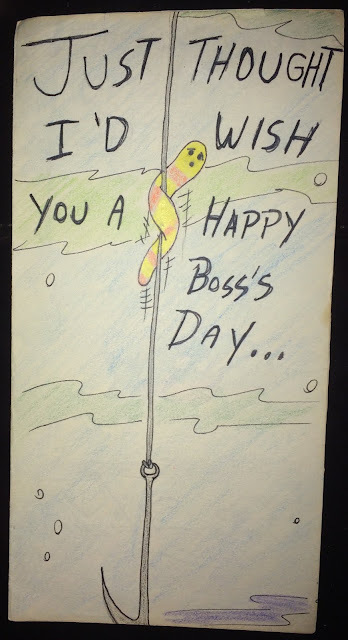 We both spent years doing horrible soul-crushing jobs and so we thought it was ridiculous that there was actually a "Boss's Day." 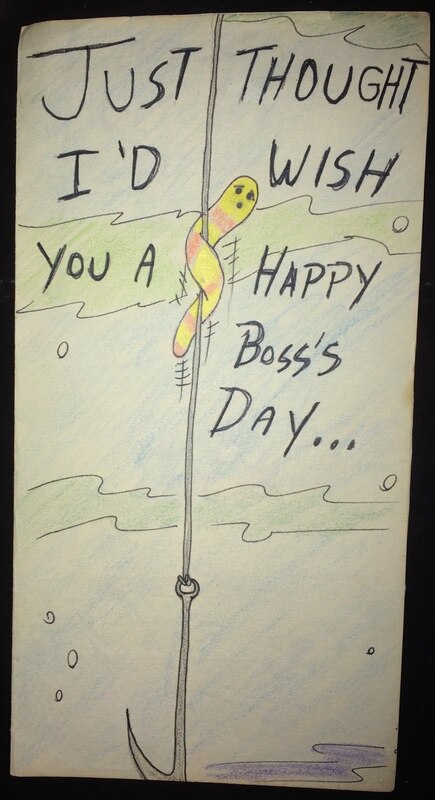 And so John did what he thought would be an appropriate Boss's Day card. 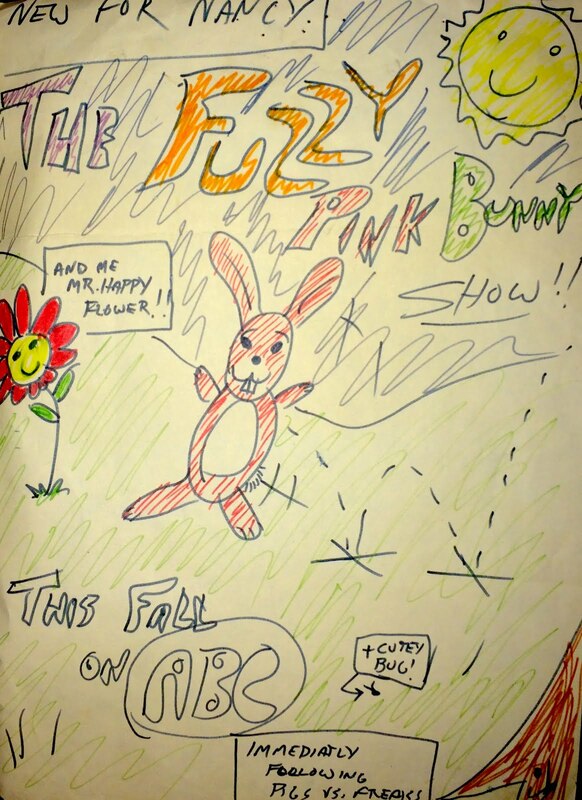 I'm sure the Fuzzy Pink Bunny was an in-joke but I don't remember what it was now. But this still cracks me up.